Wooden Kids Table+ 2 Stools [ALJMRW05] - $108.00 : ALLBABY, all about baby! 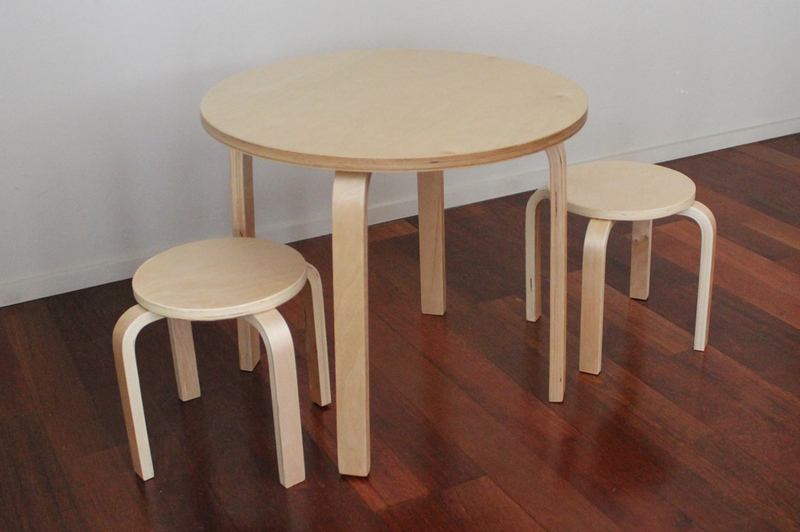 This Wooden Kids Table set includes one kids table and two stools. This beautifully designed, smoothly finished wooden kids table and stools set will be your kids most favourite place to hang around at home! At "their" table, they will have lots of fun reading, drawing, colouring, making play dough, folding paper etc. Built to take adults weight, the table set will also be the convenient place for you and your kids to spend some quality time together doing activities that your kids enjoy. What a great buy! With years of fun and usage at such an affordable price! It comes with one round table, two stools. All stools are stackable to save your space when you no need to use them, yet you might found that not happening often, as it will be one of your kids most frequently used furniture!